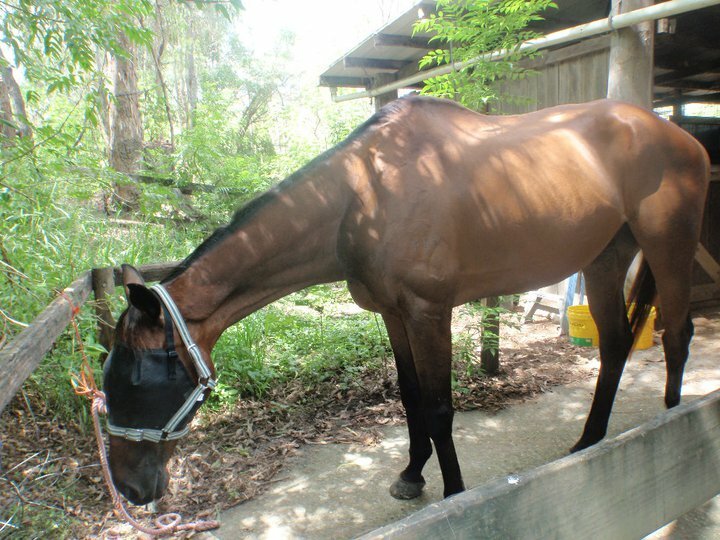 RUSTY HAS FOUND SPONSORS ~ Tabitha Bennett, Rachel Comrie, Anna Fraser & the staff at Zarrafars in Jimboomba, Rehoming STB's OTT (Tanya) and Peta Demming have all commited to sponsoring Rusty until he is re-homed. Thank you from the bottom of my heart. If you are interested in horse sponsorship please stay tuned as I will be posted another horse needing sponsorship very soon. Rusty was surrendered on the 28th of Feb 2011 slightly under weight. 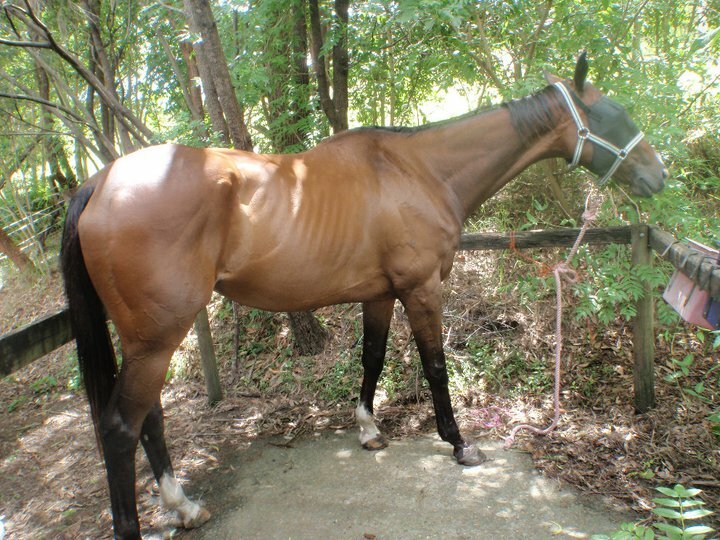 He is a stunning 17hh 14 year old TB gelding who is just a massive sweetie. He is unsound and showing signs of aggression and soreness when rugging and grooming. We are trying to find the source of his soreness and he is being treated by Robert Humphries. His first appointment is on the 7th of May 2011 and we are hoping that Robert can shed some light on his issues so that we can get him all better again. He has put on weight well and is paddocked with our other unsound TB gelding “Bandit”. Both horses are being treated by Robert Humphries. Rusty is search for 5 sponsors at $10 per week each. Once Rusty has been re-homed you will get a personalised photo album with photos of Rusty’s progress from the beginning right through to the end of his rehabilitation. This will include progress updates and a certificate of appreciation. 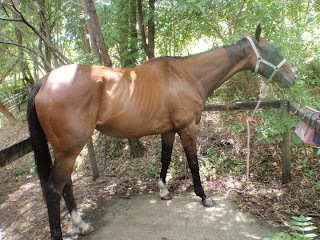 You will also be listed on our website www.saveahorse.amandavella.com as Rusty sponsors. 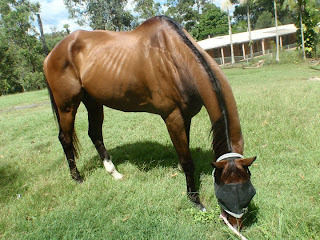 It only cost $10 per week to sponsor Rusty so if you think you would like to help him get through his rehab please email me on saveahorseaustralia@yahoo.com.au and I will give you all of the details. Thank you so much for helping us help the horses.